Abdusalmi divulged the information on Sunday at his condolence visit to Abdullahi Ganduje, governor of Kano. 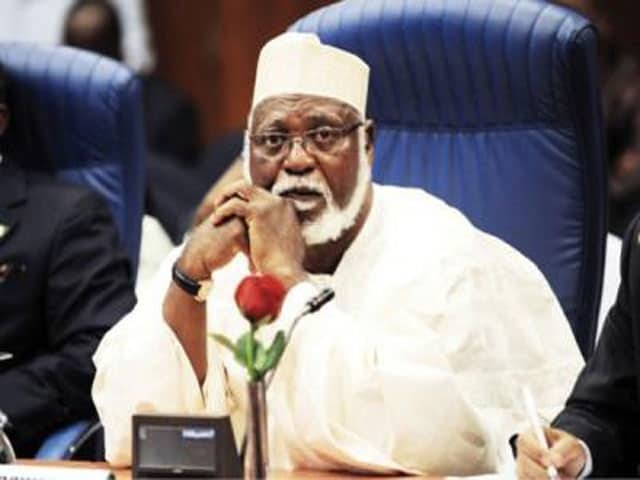 Brigade commander of the army at the time, Abdusalami explained that Sule submitted himself due to the fact that many other politicians at that time were arrested. According to him “I was at my office when Dan Masani (the deceased) came with his luggage. He looked at me and said ‘why should you leave me alone when you have arrested all my associates? I want you to arrest me so that you can unite me with my fellow politicians in Lagos”. He expressed the struggle Sule went through for the good of this nation and his sadness at the loss of the great icon. He said:“We have indeed lost an irreplaceable figure. I call on Nigerians to pray hard for the repose of his soul,” he said. Abdusalami also extended former military president, Ibrahim Babangida’s condolence message because Babangida was unable to pay a condolence visit due to his health condition. He said “You know the health condition of Ibrahim Badamasi Babangida, that is why he has sent his condolence message through me. He condoles with you, the governor, the family of the deceased and the entire people of Kano state,” he said. Abdusalami therefore called on politicians to imitate thegood values of the “irreplaceable figure”. Several renowned individuals in the country have gone to commiserate with the people of Kano state over the death of the elder statesman including acting President Yemi Osinbajo, former Presidents Olusegun Obasanjo and Goodluck Jonathan. Sule died in Cairo, capital of Egypt on Monday and was buried on Tuesday in accordance with Islamic rites.